Are you eager, energetic and keen to make a positive impact on your community and the planet? Did you also know that volunteering can boost your health and happiness? It’s true! Now here’s your chance to become a Swapsity volunteer! 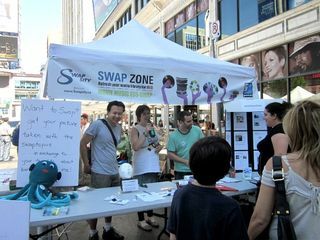 You’ll join like-minded people from Toronto who are passionate about swapping, the environment, collaborative consumption and saving money. Our events are full of energy, positivity and smiles. 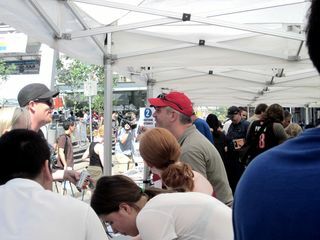 Our swap meets are run 100% on volunteer power and sometimes we even swap for the resources we need to run these events, so we're always looking for folks who want to join us in making a difference. Our events are full of energy, positivity and smiles. The swap meets are run 100% on volunteer power, so we're always looking for interested people who want to join us in making a difference. 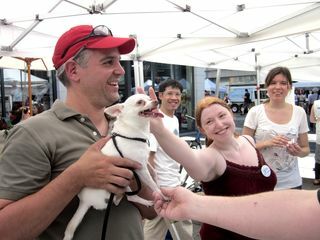 We've hosted events at the Green Living Show, Live Green Toronto Festival, Kensington Market's Pedestrian Sundays,Shop Sustainable, Barter Babes 300 Party and have been featured in the Toronto Star, Metro News, Yahoo News and the Torontoist. BlogTO recently chose us as top 5 of the over 400 exhibitors at the Green Living Show. We are always on the lookout for some helpful and enthusiastic people to make sure our swap meets run smoothly and swappers leave happy. Get involved by emailing volunteers@swapsity.ca with your contact information.